A common question which comes into every IT freelancer's mind is How to get projects. This is obvious to come as freelancing portals are very competitive and even if you don't get projects on upwork they will suspend your profile means they will kick your a**. But you are lucky if you are reading this post because this post is for all those IT people or companies who are tired of searching projects over freelancing portals like Upwork, Freelancer or other available portals. If you are searching on google that How to get IT project leads, how to get projects, what are the other ways to get projects or How to get clients or projects through LinkedIn then you are on right post. Here we will tell you how to get IT Project leads through LinkedIn and convert those into a good project. Which freelancing portal is best to create a profile for the beginner in 2018? 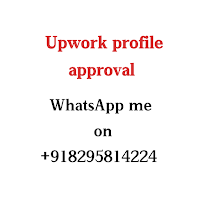 There are many portals to create a profile on like you know upwork, freelancer, Fiverr, guru, PPH etc. a few days back Upwork considered as best but now freelancers are leaving this platform because of their hard policies against freelancers. One of the new portal which is attracting freelancers is Smartsociatesthis is new and very friendly in terms of helping freelancers as their support team is very active. But other freelancing portals like Fiverr and Guru also doing great as you can choose these two too. Below is the link to Fiverr, you can click and create profile easily. Now please let us know in the comment section which freelancing portal you are using and why. Help other freelancers too.